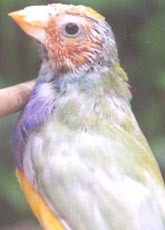 My first interest in the Lady Gouldian finch began in 1979 when I noticed a picture of a male Lady Gouldian on the cover of a finch book in a local pet shop. 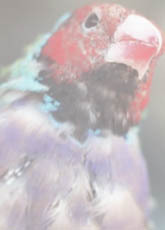 I was struck by the beauty of the bird, and thus began my venture into the avian culture with a particular interest in the Lady Gouldian finch. 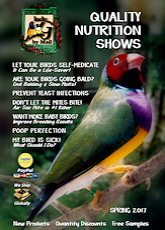 I have built three outdoor free flight aviaries over the years, experiencing and learning from the successes and failures of each effort. 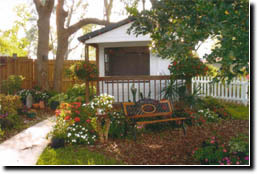 My current aviary was built in 2002, using the successful aspects of my past aviary experiences. I wired the aviary to accommodate 2 electrical wall outlets, 2 48" daylight fluorescent bulbs, and an automatic timer to cut lights on in the AM and off in the PM. I insulated the aviary walls with sheet foam, finishing the interior with plywood silicone caulked at every joint, and painted with a water base paint stain, for easy touch up. I covered the 4' x 8' viewing window with stainless steel zoo screen (commonly used in commercial zoo aviaries), spray painted flat black to allow for day or night unobstructed viewing. Vinyl flooring, for easy cleaning, covered with about 1/2" of crushed corn cob bedding. A "central vacuum system" with a port in the wall, leading outside to a shop vacuum, allowing a vacuum hose hookup for easier interior cleaning, and for the birds sake, a less disruptive and quiet cleaning operation. 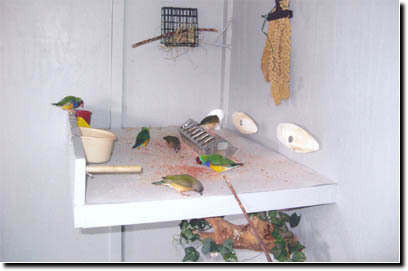 A "bead curtain" (commercially available) at the inside of the door to keep birds from escaping as you enter and exit the aviary. This negates the expenses and inconvenient "2nd door" escape deterrent method. An automatic heater set at 60-65. Two interior 7 ½ watt night lights, allowing enough light for nesting birds to get back to their nest when the lights go off in the evening, critical if they are sitting on eggs. 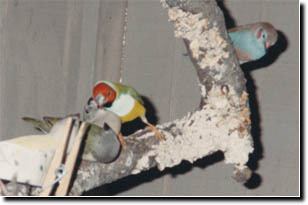 The "feeding station" offers the flock water, seed, millet spray, grit, cuddle bone, nestling food, nesting material (Bermuda grass), and meal worms for the live food eating blue caps and cordon bleus. I designed the size of the feeding station to accommodate a standard 22" x 28" white poster paper (Wal-Mart), easy to change and maintain a sanitary feeding station. 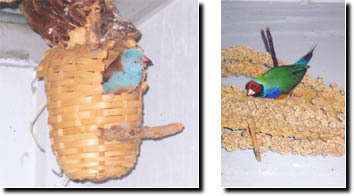 Nests of various types and sizes. 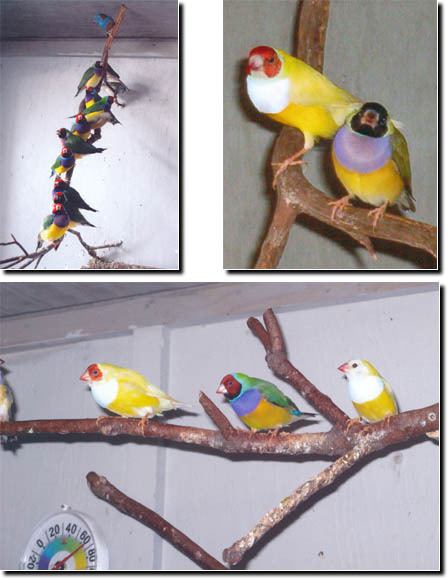 I currently have 29 Gouldians, 14 of which are less than 60 days old, and 4 cordon bleus. 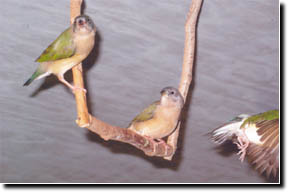 I even have a male Gouldian that has never flown (it happens!). To accommodate him, I have constructed a twig and branch "ladder", to allow him to access the feeding station. He flies down and climbs back several times a day. 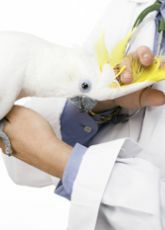 (You can see him in the feeding station picture, standing next to a "stick", which is the last leg of his "ladder". You may also notice a private perch placed for his personal use. A hobby? Certainly! But much more so, a very important and enjoyable part of my life.